Hey kids! Are you ready to get up and groove? Join our team as we sing, dance and groove our way through a journey of adventure and discovery. 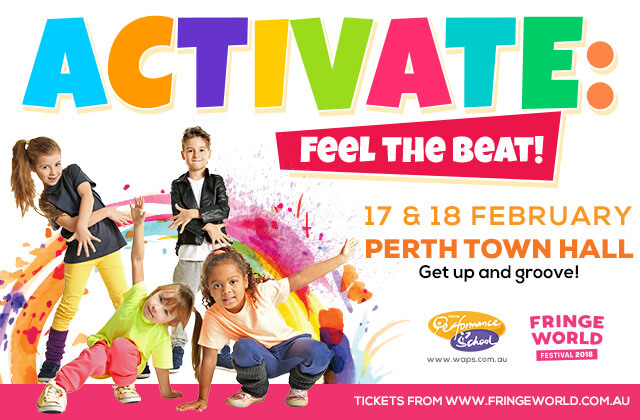 With singing, dancing, games and prizes, ACTIVATE: Feel the beat is fun for the whole family! Shows running on the 17th and 18th of February at 1pm in The Main Hall at the Perth Town Hall, presented by Lucky Cat.